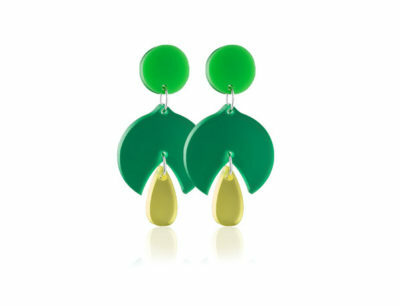 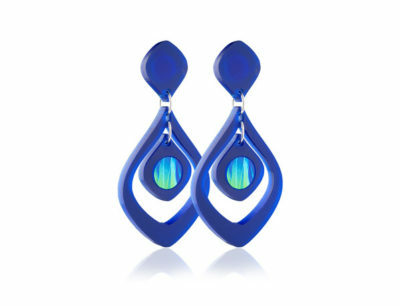 The Duo Lily Purple acrylic earrings are a very distinctive design. 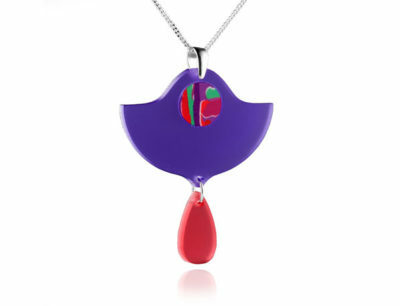 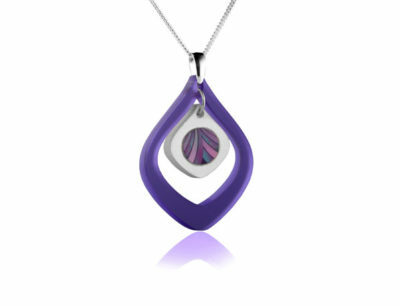 The central aluminium features an eye-catching bang of colour with purples, reds and greens and are finished with a small red opaque acrylic drop. 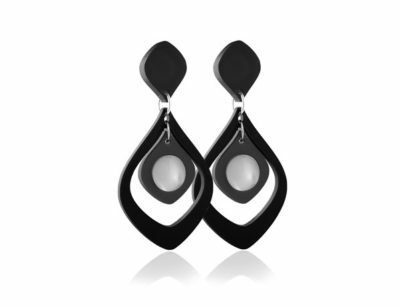 They are lightweight and comfortable, perfect to wear for any occasion. 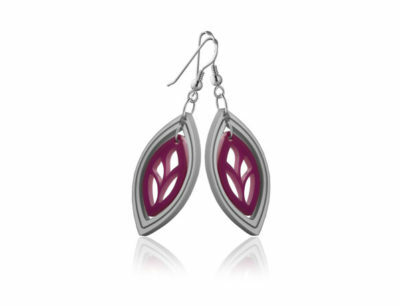 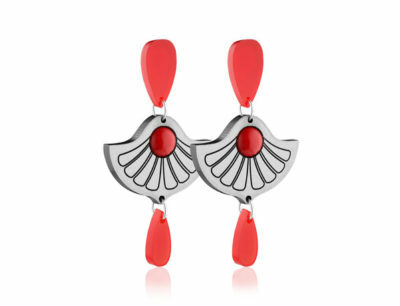 Purple and red acrylic earrings with central aluminium patterned feature and red drop acrylic detail.